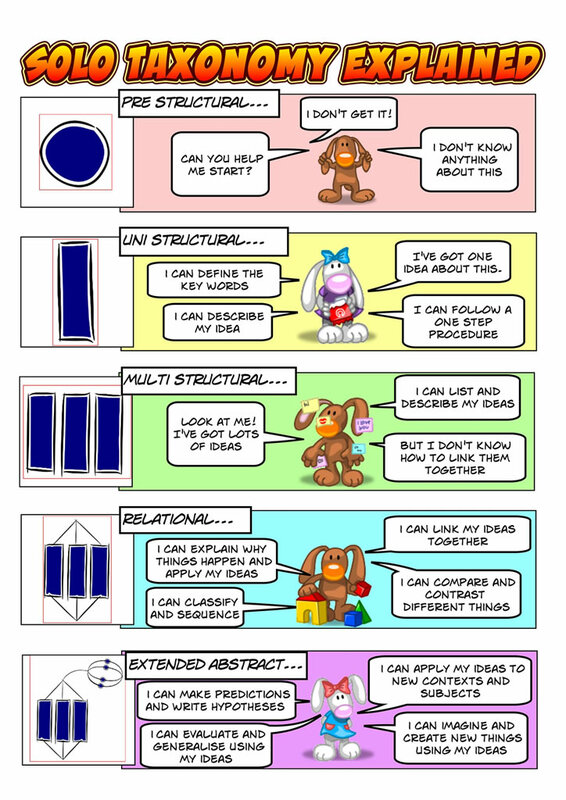 At Marden Bridge we are trialling the use of SOLO taxonomy to help pupils to understand better how to improve their work. These symbols show the progression from having one simple idea about a topic to start with, and then building on these to make connections with other areas of science and even other subjects. The SOLO symbols form the basis of learning outcomes in lessons, form the main feedback structures in pupil books and are used by the pupils to peer and self-assess their work. 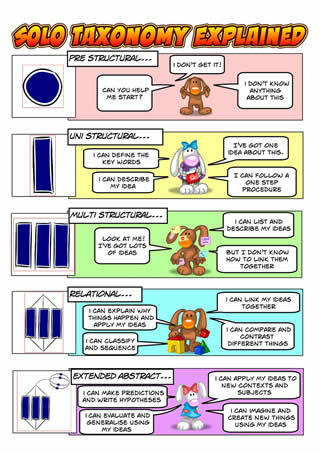 For more information, please visit pamhook.com/solo-taxonomy/ or if you have any questions about SOLO taxonomy you can contact Mr Instone at Marden Bridge.